Shades is a Marvel character who is known for being a friend and a villain of Luke Cage. Actor Theo Rossi will play Shades in the Luke Cage Netflix series. Shades is a Luke Cage villain who has ties to Luke Cage's early gang days. Shades has typically worked with a partner named Comanche. At one point Shades is outfitted by the underworld mad genius Nightshade with a visor that can fire optic blast similar to Cyclops on the X-Men. 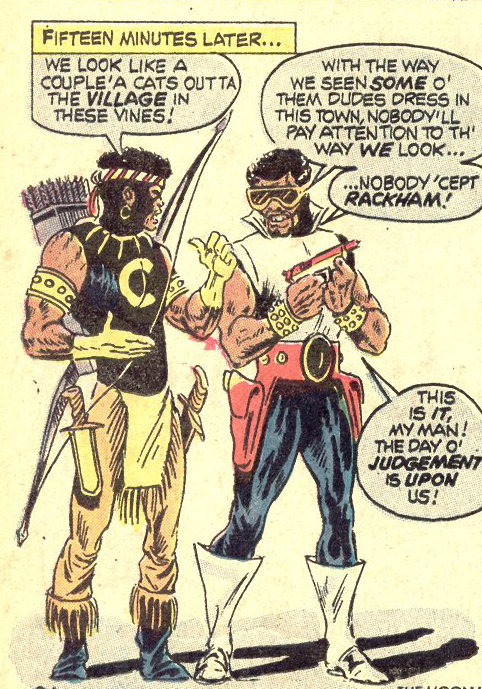 Comanche and Shades were members of Luke Cage's street gang the Harlem Rivals. This is prior to Luke Cage quitting the gang and trying to go legit. Neither Comanche nor Shades take Lucas leaving the gang personally. Shortly, after Lucas is sent to Seagate Prison both Comanche and Shades are busted and find themselves there as well. After Lucas escapes they decide to escape to. The two hoodlums meet up against Lucas who has now changed his name to Luke Cage. The two crooks decide to call themselves the Hoodlums for hire. While, Luke Cage stops them, neither Shades or Comanche reveal Luke Cage's real name when captured by the police. Shades eventually leaves the duo and goes legit. Comanche remains a criminal on the other side of the law. A relative of Shades eventually becomes a new version of Power Man. Actor Theo Rossi will play Shades in the Luke Cage Netflix series. It has been said that Shades in show will not be a pure villain. It looks like Shades could be an agent of either Cornell Cottonmouth or of Black Mariah.